Rooms from $107.11 per night. Description This Atlanta, Georgia hotel has an outdoor pool, free internet access and an on-site restaurant. This hotel is also pet friendly. 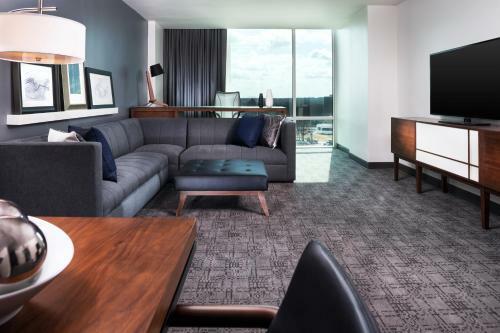 The 24-hour room service in-room espresso and an outdoor pool combine with a location that's close to shopping at the non-smoking Le Meridien Atlanta Perimeter. 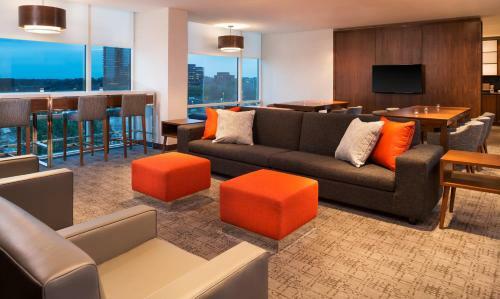 Opened in 2013 the 12-story Le Meridien houses 275 stylish rooms featuring plush signature bedding Wi-Fi (for a fee) premium espresso large flat-panel TVs and 24-hour room service. 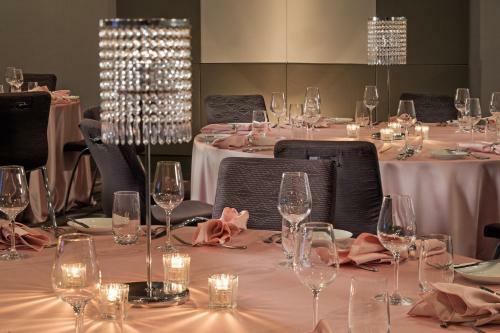 Dining options include lunch and dinner in the on-site restaurant and lounge. Active types get in a workout in the fitness center or step outside for a dip in the seasonal pool. Valet parking is available for an additional fee. 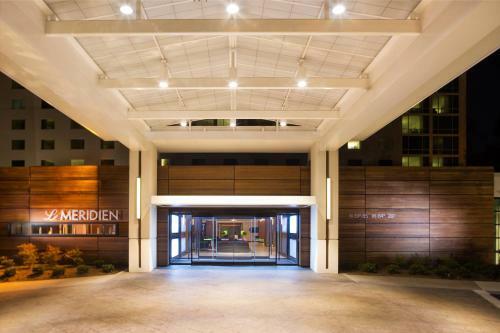 Le Meridien is across from Perimeter Mall in Dunwoody 15 miles north of Atlanta and one mile east of the MARTA train station. Head 14 miles south to explore the World of Coca-Cola. The flora of the Atlanta Botanical Garden blooms less than 20 minutes away. 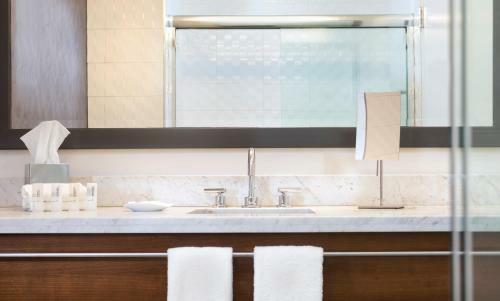 A 25-mile drive south leads to flights at Hartsfield-Jackson Atlanta International Airport. DeKalb-Peachtree Airport is five miles away. 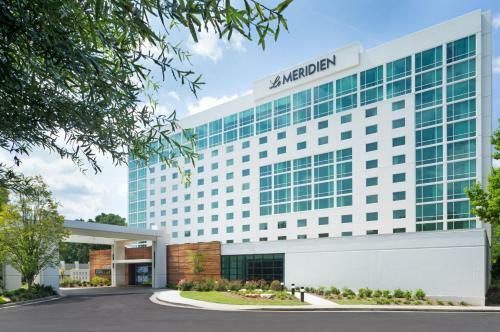 Add Le Meridien Atlanta Perimeter to your free online travel itinerary.